Travis Mason and his wife, Samantha, were interested in law enforcement careers and had talked about the possibility that either could be killed in the line of duty. Samantha now faces that tragic, overwhelming reality after her husband, a security guard at a marijuana dispensary, was shot and killed Saturday night. Mason was excited about his new job at Green Heart, 19005 E. Quincy Ave., which he saw as a solid step forward in his dream of becoming a police officer. On Saturday night, two armed men, who remain at large, walked into the Green Heart and shot Mason, 24, three times during an attempted robbery. He died of a gunshot wound to the head. Mason began working at the dispensary two weeks ago, and he was supposed to start a second job on Monday as a security guard in the evenings at a King Soopers store, Dominguez said. He was scheduled to test for a job at Denver’s police department next month, Dominguez said. 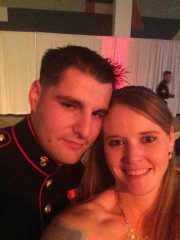 During four years in the Marine Corps, Mason was stationed in North Carolina, where he met Samantha, Dominguez said. The couple have a 1-year-old boy, whose birthday was June 11, and twins, who will be 4 on Tuesday. The family moved to Colorado after he recently was honorably discharged. Dominguez, 43, was concerned when he took the job at the dispensary. “All my family lives in Trinidad, and I have known that those dispensaries get robbed. So I was very uneasy about it,” she said. Although marijuana is legal in Colorado, it remains illegal under federal law. Banks will not handle money from pot sales. Businesses won’t take credit cards, and sales are in cash. Blue Line Protection Group, a company that provides security for the marijuana industry but not for Green Heart, released a statement underscoring the dangers faced by all-cash businesses. “Moments such as this remind us that the cash-based nature of the legal cannabis industry here in Colorado makes these dispensaries and cultivation facilities prime targets of criminal elements based not only here in Denver, but criminal organizations heralding from other states as well,” the company said. A U.S. Senate committee passed a bill Thursday that would forbid the use of federal funds to penalize a financial institution that works with marijuana enterprises legally operating under state laws. A similar bill last year failed to reach any debate in the House. A bill passed in 2013 by the House later was stifled in the Senate. Contacted Monday, a man at Green Heart Marijuana, who gave his name only as George, said there had not been a robbery at the business. He said he couldn’t say more because the incident is under investigation. Green Heart, which closed after the shooting, will reopen Tuesday. On Monday an ad hoc memorial site grew outside the dispensary. It included balloons, flowers, cards and an American flag. Aurora police did not release new information on the investigation Monday. “I know they always say the best about the dead, but my son, he was wonderful. He had such a loving and caring heart. He would give his last dime away to help somebody,” Dominguez said. 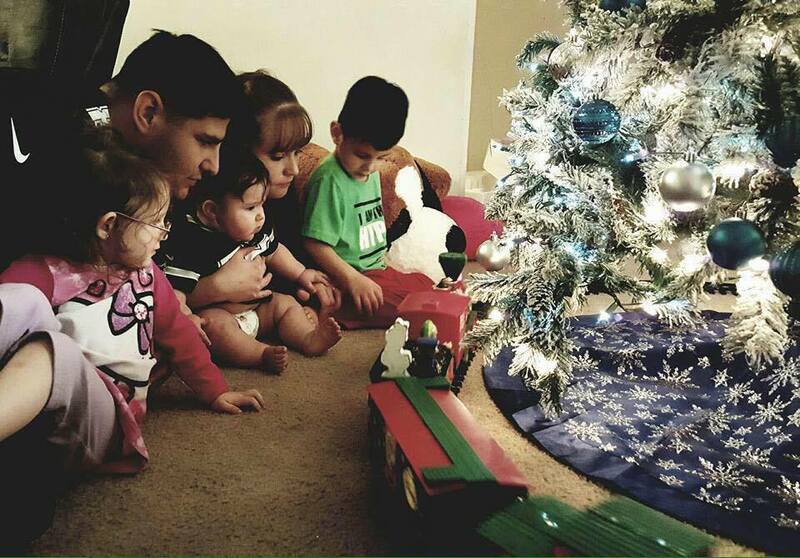 On Sunday night, Mason’s family told the twins that their father was dead, Dominguez said. “He is always going to look down and take care of us,” the children said before going outside to look up at the sky. On Monday evening, Samantha put the twins down for a nap in a pickup parked at the dispensary as rain drizzled down. “It’s going to be hard, but the family pitches in,” Samantha said. Mason’s family is in Colorado. Samantha’s family, which lives in North Carolina, is en route to Colorado. Samantha said she’ll receive a doctorate in law enforcement in October. Semester finals, through an American Military University online course, are this week. Her professor is giving her an extension. She received an e-mail from the Denver Police Department letting her know that a department test is coming up in two weeks. “I don’t know if I’ll be ready for it,” she said. Still, Mason would want her to go for it, she said. A GoFundMe page has been set up for those who wish to contribute to Mason’s funeral expenses.